We are often asked how our family owned health food store continues to grow after forty years, during a time with so many chain stores in existence. The answer is simple: We love what we do. We live the lifestyle. And we truly enjoy helping our customers with our knowledge and experience. In fact, we are most known for our exceptional customer service. If you already shop with us, you know this to be true. If you are a new customer, you will soon learn for yourself. We welcome you to join us for the products we offer, and also the warm positive energy you’ll feel when you walk through our door. We look forward to meeting you. Our wide range of products includes a full line of gluten free foods, kosher selections, homeopathic remedies, vegetarian and vegan items, and diet and sports products. Please visit our Products page for a more detailed listing. Our helpful staff is always eager to assist you in finding the right product. 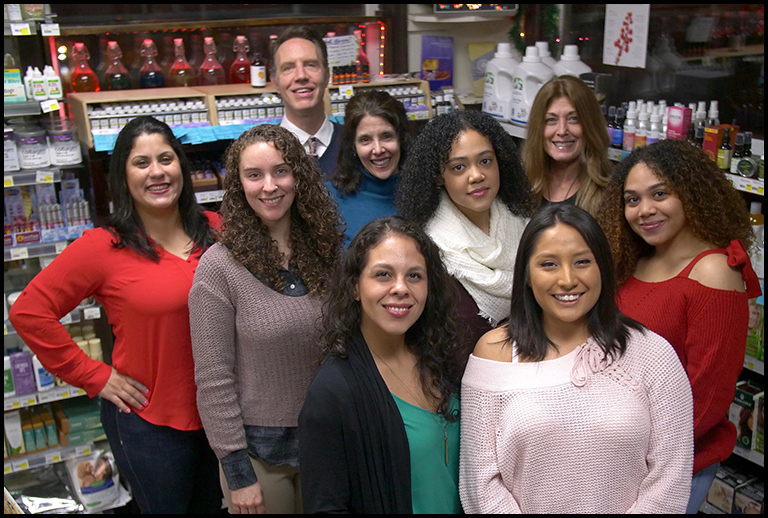 Our North Jersey health food store is conveniently located in Passaic Park, near Clifton. We’re only minutes from Routes 3, 46, 17, and 21 and located in a part of Passaic County that is close to Essex County and Bergen County. We have our own free parking lot. Visit our store at any time or call 973-778-8409 for details. Conveniently located next to Clifton and nearby Essex County and Bergen County, NJ.